The Asian Development Bank (ADB)-United Nations Economic and Social Commission for Asia and the Pacific (UNESCAP) National Workshop on Secure and Efficient Cross-Border/Transit Transport was a follow up activity to the ADB-UNESCAP Workshop on Secure and Efficient Cross-Border/Transit Transport for the South Asia Subregional Economic Cooperation (SASEC) Program held in Bangkok, Thailand in October 2013. The workshop objectives were to familiarize key stakeholders in India on UNESCAP’s models for secure cross-border transport, and to discuss the possibility of implementing these models on a pilot basis. 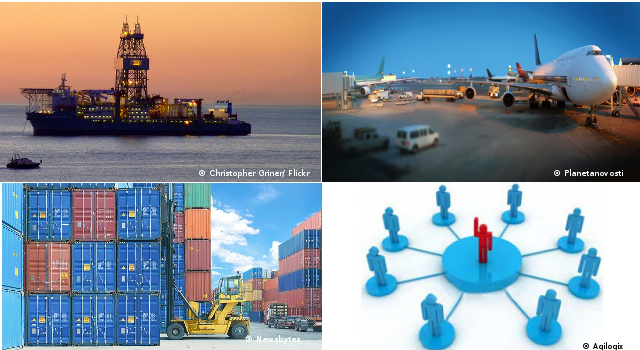 Transport facilitation is a priority area under the SASEC Trade Facilitation Strategic Framework 2014-2016. Electronic tracking of vehicles and cargo along trade corridors—using global positioning systems (GPS), general packet radio service (GPRS), and/or radio frequency identification (RFID) technologies—facilitates and secures cargo and vehicle movements. Presentations were made by senior representatives of the Central Board of Excise and Customs (CBEC) of the Government of India, and the Department of Customs and Revenue of the Kingdom of Bhutan on the existing status, challenges, and perspectives of cross-border and transit transport between India and Bhutan. An update was provided by ADB on the outcomes of the ADB-UNESCAP National Workshop on Secure Cross-border Transport Model held in Thimphu, Bhutan in January 2014. UNESCAP transport facilitation experts provided an introduction to electronic vehicle tracking systems and their potential benefits. And Mr. Anusorn Lovichit, Managing Director of Thai International Freight Forwarders Association, Electronic Data Interchange Services Co. Ltd, shared a private sector perspective on electronic truck tracking systems in Thailand. UNESCAP also facilitated discussion on the pilot implementation of an electronic vehicle tracking system. The agreed route for pilot application is Kolkata-Jaigaon-Phuentsholing, with possible extension to Thimphu. An e-working group will be established to discuss and agree on modalities for the pilot implementation of the tracking system. Further, ADB and UNESCAP will support the conduct of a feasibility study of the tracking system pilot application along the Kolkata-Jaigaon-Phuentsholing corridor (with possible extension to Thimphu), under the guidance of the working group. Mr. Sandeep Kumar, Commissioner (Customs), CBEC, Government of India, Ms. M. Teresa Kho, ADB Country Director, India Resident Mission, and Mr. Nagesh Kumar, Director, Subregional Office, South and Southwest Asia, UNESCAP, opened the meeting. 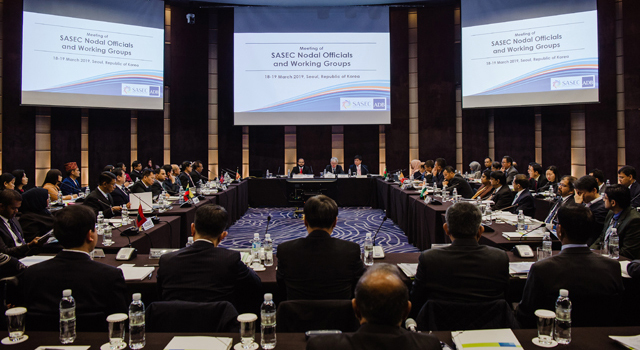 The Government of India chaired the sessions, and ADB and UNESCAP facilitated. 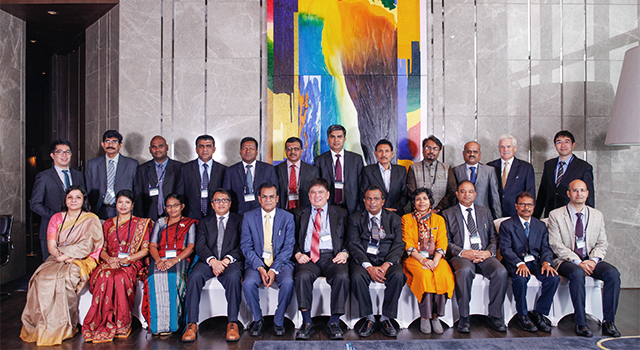 Participants included senior government officials from relevant agencies (among others, the CBEC; Ministry of Road Transport and Highways; Ministry of Home Affairs; and Ministry of Communications and Information Technology); the Government of West Bengal; as well as senior officials from the Department of Customs, Kingdom of Bhutan; and representatives of the private sector and freight forwarder associations of India. The Federation of Indian Chamber of Commerce and Industry organized the workshop with funding from ADB.